Special thank you to the Dickinson Convention and Visitors Bureau for their generous support. Get Your BAA Entry Formed Mailed by Oct 17! It’s time to get your artwork in order. 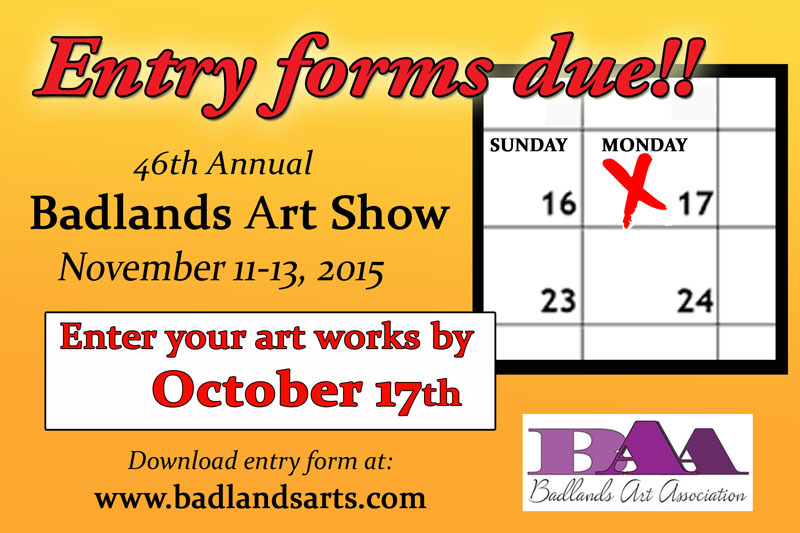 You still have a few weeks left to decide what pieces of artwork you will submit to the Badlands Art Show in November. BAA Entry registration forms are due (postmarked) by October 17. You can download an entry form here. 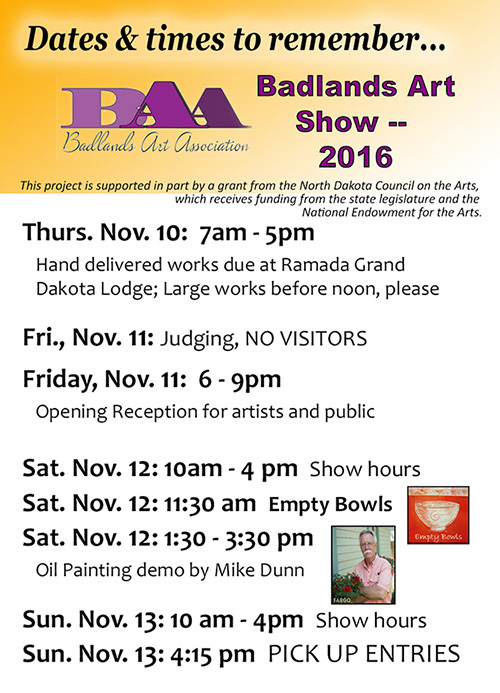 The Ramada Grand Dakota Ballroom will again be the site for the 46th Annual BAA Fall Show, November 11-13, 2016. 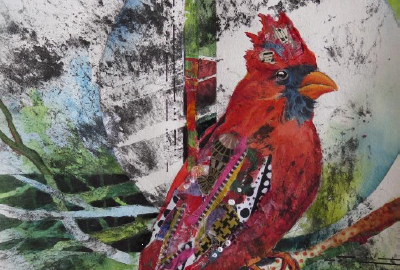 Fargo artist Michael Dunn will judge this year’s show. As an added bonus, Dunn will offer three mini workshops and demonstrations throughout the day on Saturday, Nov. 12. Thanks to a grant from the ND Council on the Arts, Dunn will lead a one-hour watercolor workshop for elementary students and then a 1 ½ hour watercolor workshop for junior and senior high students – both on Saturday morning. Times will be announced closer to the event. A demonstration for adults will be held Saturday afternoon. A new amateur division has been added for this year’s show. There will be three divisions: student, amateur, and professional. The call for entries and entry forms for the adult divisions will be mailed in August or can be downloaded here. Student entries will be available through art teachers at area schools. 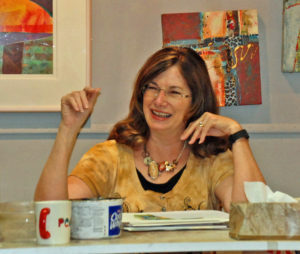 Angela Rayne, director of the Dickinson Museum Center is inviting artists to participate in a Plein Air Paint Out on Saturday, August 20, 2016. 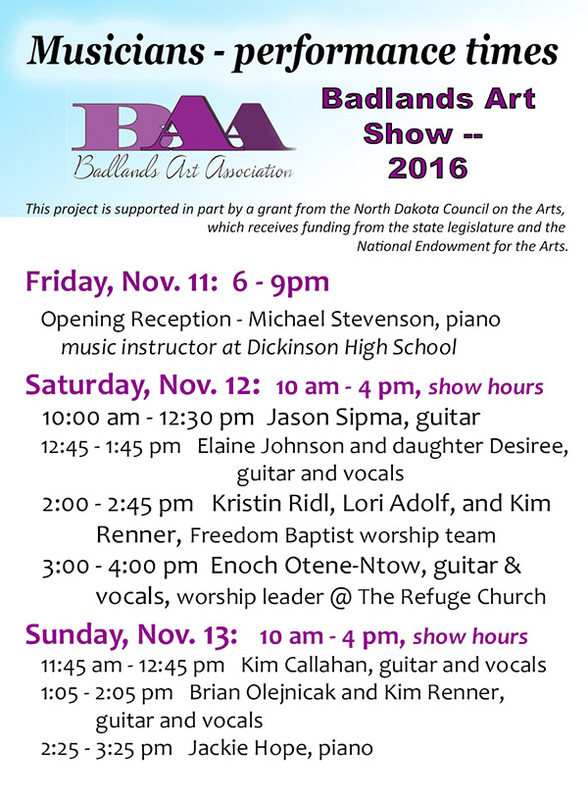 The Paint Out will be part of the Northern Plains Ethnic Foundation’s annual Festival. This popular event, held at the 12-acre Prairie Outpost Park in Dickinson, is expected to draw 300- 500 visitors. Locations are first come, first served. Artists are asked to be set up and ready to paint by 9:30 on Saturday, August 20th. Artists are expected to be present and painting or speaking to the public from 9:30 am to 12:30 pm that day. Conversations regarding your work, style and medium are encouraged. 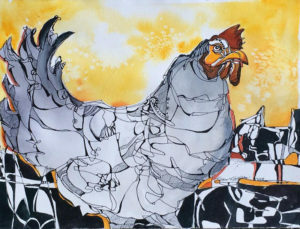 Artists may distribute business cards or brochures, but small item sales would need to be coordinated with Angela Rayne.